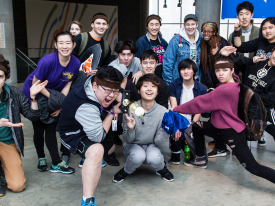 MICA BALL is a large urban game that we designed for the entire MICA freshman class (400+ students) to play. 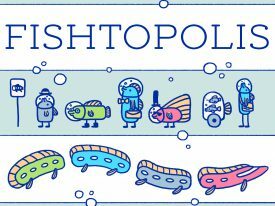 Fishtopolis is a card game designed for the Central Maryland Transportation Alliance to be used in their Transportation 101 course. 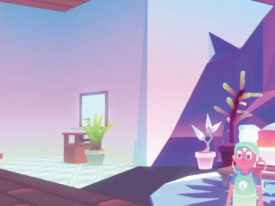 Playtest This! 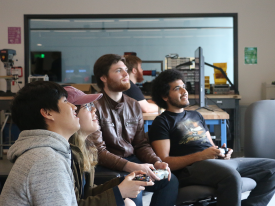 is an event series where we invite game designers and studios to test works in progress with our students and lab. 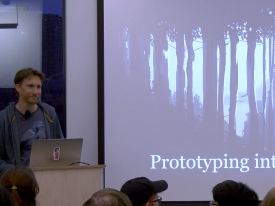 Ian Dallas is the creative director of Giant Sparrow the studio behind The Unfinished Swan and What Remains of Edith Finch. 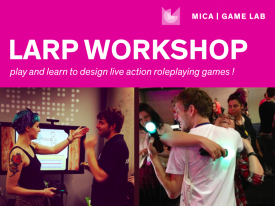 We ran a two day experimental LARP workshop with game designer Allison Cole. 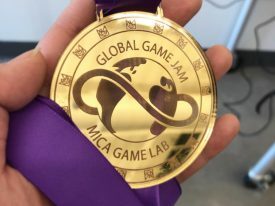 The MICA Game lab was the official Baltimore site of the Global Game Jam for 2017 and 2018. 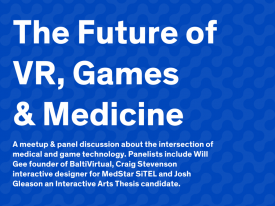 Baltimore is a leading region in Health Care, VR/AR and we hosted a panel in partnership with Lifebridge Health exploring this area. 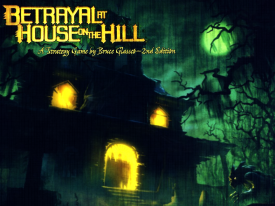 Bruce Glassco is the designer of Betrayal at House on the Hill and gave a great talk about narrative strategies for game designers. 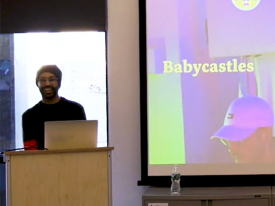 Kunal Gupta is an artist, programmer, musician, entrepreneur and founder of Babycastles, an art gallery for independent video games. 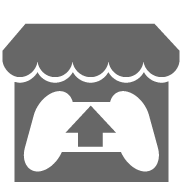 Loco Local is our annual local multiplayer event featuring amazingly fun and engaging games from indie designers. 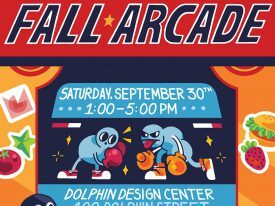 Fall Arcade is our BFA in Game Design's curated exhibition of student made games and this year we had 7 amazing projects, check out our photos and projects! 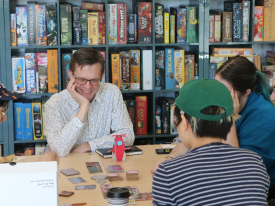 Our game designer in residence program is a one year teaching and research opportunity for a designer working in the field of games and play.